1 Year Home Warranty Included with Purchase! Enjoy 2 bedrooms 2 Full and 1 half baths 1,264 sqft Better than new, well maintained condo built in 2007 with 5-star energy package. 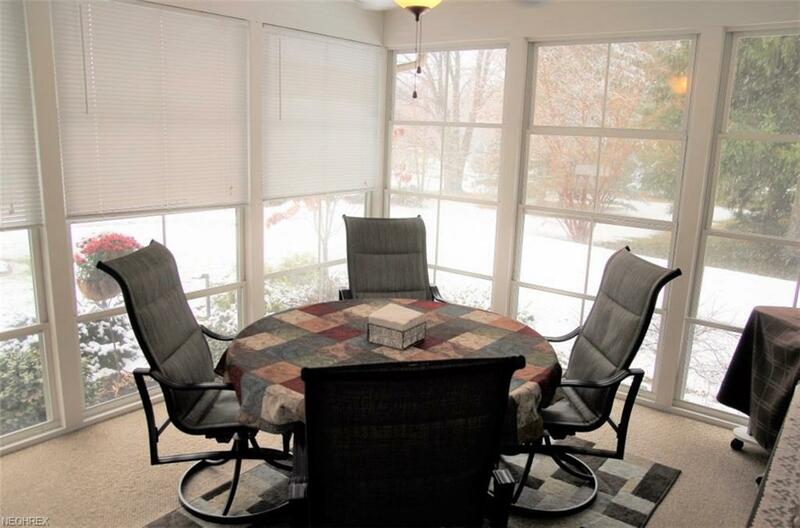 Condo features 1264 sq ft of living on the first level. 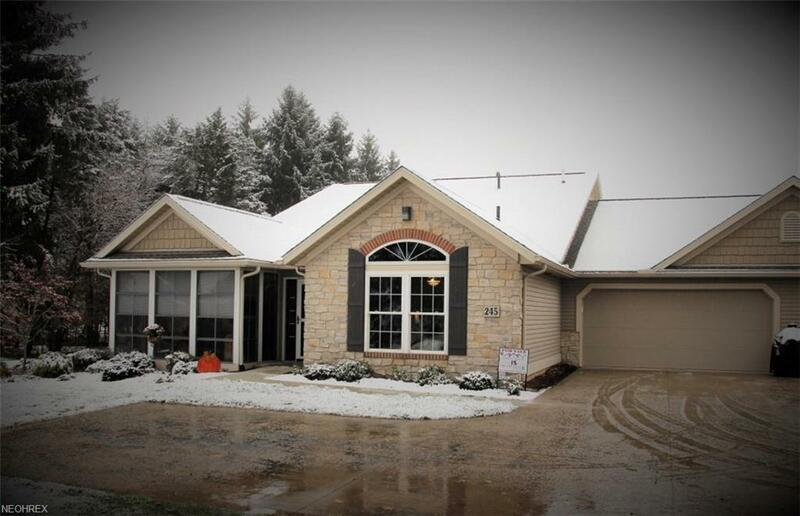 Completely finished basement in 2012 with wet bar and beverage cooler, half bath and storage area.Tiled entry way leads to great room with gas fireplace, vaulted ceiling and large round top window. 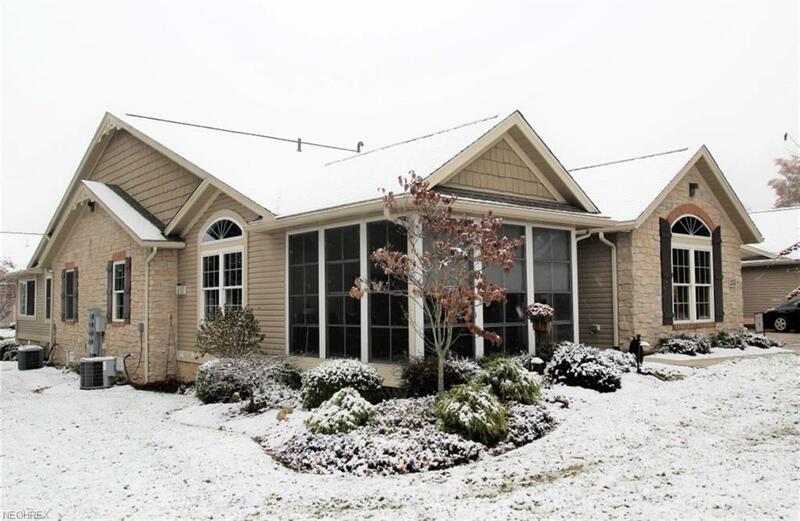 Kitchen is fully equipped with high end stainless steel appliances in 2016 and large pantry. Spacious master suite offers vaulted ceiling with large bath and walk in closet. There is an additional bedroom with walk in closet and full bath for guestsSome additional features include a three season porch with great views, Two car garage with key pad entry and custom build storage. Laminate flooring installed throughout in 2016, laundry area on the first floor with plenty of storage. Low monthly HOA fees and utilities. Best location in the Association!Sellers say they love the Heritage Pointe is a wonderful community with caring residence who are always ready to lend and helping hand. 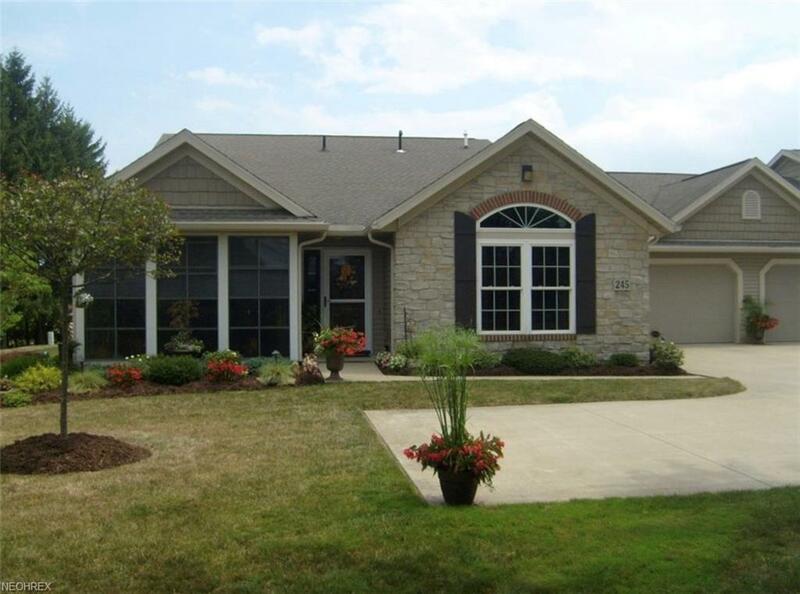 This unique community is located just off US-30 with easy access to Wooster, Massillon, Canton and I-77. Which means you are just a short drive to shopping, restaurants and medical facilities. Also, there is no need for you to do lawn maintenance or snow shoveling as this is provided through your monthly HOA fees so, just sit back and enjoy the carefree life!!! !